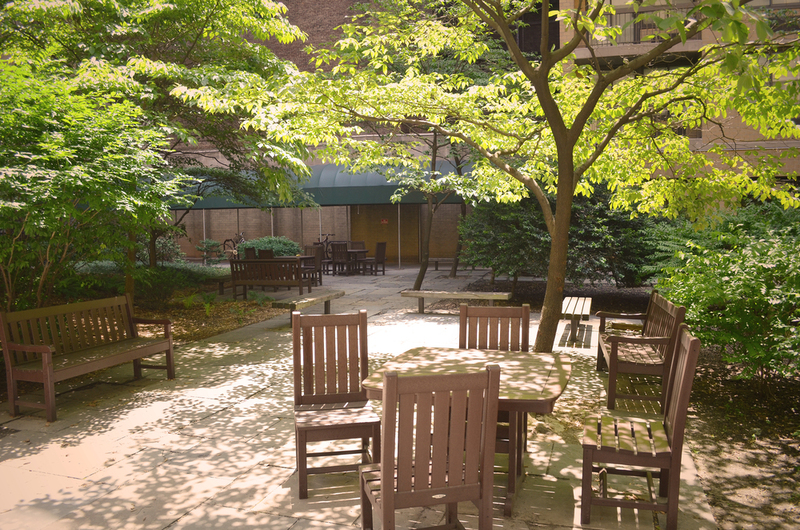 Carlyle's namesake, the courtyard is the largest of any residence hall at NYU. 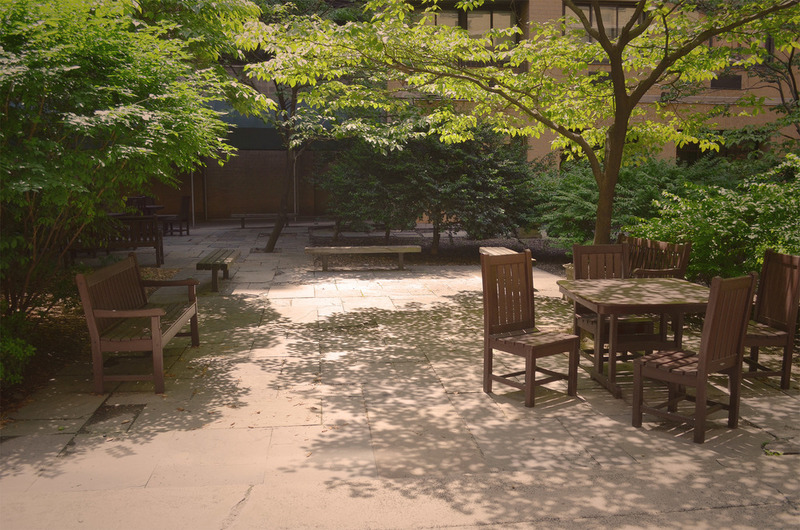 It offers a sanctuary from the city noise and provides residents with a peaceful place to study or relax in good weather. Located in the C1 Tower, the Study Lounge is a quiet space with plenty of light, comfortable seating, desk space, and 4 iMac computers. The lounge is reserved for quiet work and study and is open 24 hours a day. The Entertainment Lounge mirrors the study lounge in layout, but hosts a pool table and large TV. Feel free to check out the pool equipment or TV remote from the Resource Center. The lounge can be booked for student events & also hosts Carlyle's hall council meetings & programs. Laundry at Carlyle is easily accessible. Each tower has it's own laundry room in the basement. All machines are run via NYU Campus Cash and cost $1.00 per wash or dry. All laundry rooms are open 24 hours per day. The Practice Room is located in the C3 Basement and provides residents with ample space for group or private practice and rehearsal. The space contains 3 pianos, and a full size dance bar and mirror. The Practice Room can be reserved for 2 consecutive hours per day and is open during Resource Center hours. 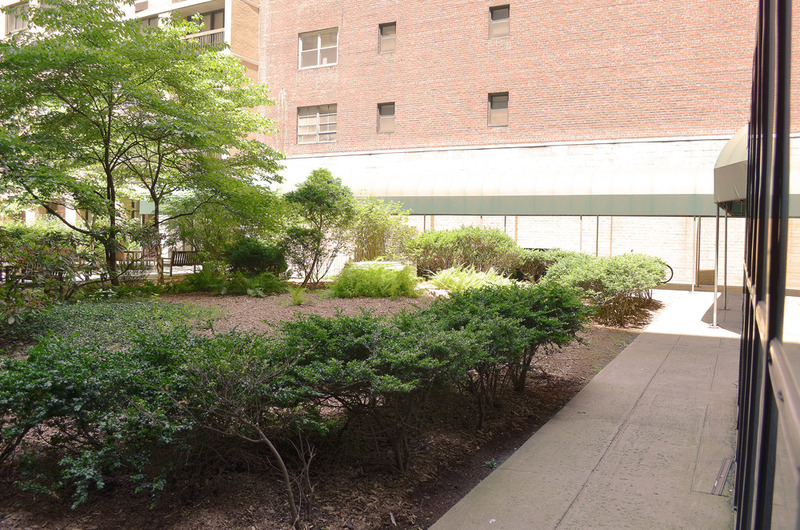 The courtyard is encompassed by walkways with plenty of bike racks for residents to keep their bikes safe and sound. Carlyle is also a hub for NYU BikeShare.